Here we go again. It looks like we’re headed for another dry year in Southern California. Two years after the Governor’s grand announcement that the worst drought in 1,200 years was behind us, the total rain for this year stands at just under 5-inches. Our “normal” rainfall for this time of year is supposed to be about 14-inches. The Northern California snow pack is doing better however, with most of the NorCal counties reporting in at about 70% of normal. This shows that while we won’t have a drought on the order of magnitude of 2015, we will not have enough to meet all our needs this year. We will have to depend on our dwindling local storage supplies and imported water from the California Water Project to make up the difference. How can you make a difference? Conserve water. Sweat the small stuff: Small habits add up. Don’t use a hose to clean your driveway and patios. Fill a sink of water to shave or wash the dishes. Turn off the water when you soap your hands and when you brush your teeth. Only turn on the washer or dish washer if they are full. Put a spray nozzle on your hose. These basics won’t cost any money, but saved us about 15% off our water bill. Buy low-flow appliances: If you can, replacing your toilet, washer and/or dish washer will be the easiest thing to do to conserve without any changes in your lifestyle. Having moved into a new apartment with all new water efficient appliances, I can vouch there is no compromise to cleanliness. Buy a low flow shower head: In most California households, showers are a big water user. If you have an old shower head, buy a new low-flow one. I switched the head in our old house from a 3 GPM (gallons per minute) to a 1.5 GPM head and didn’t notice any compromise in the shower experience. They now even make heads rated for as low as 1.25 GPM. Take shorter showers: On average, people take a 13-minute shower. Just cutting a 2-3 minutes off the average time can result in a noticeable decrease in a water bill. If you install a small shut-off valve on your shower head (some heads come with this feature), you can turn off the water briefly when you soap and not compromise the water temperature. My wife and I were able to save a whopping 40% off our water bill using this technique. Mulch your yard: Many cities let you pick up free mulch from your neighborhood parks. If you mulch your planting beds, your irrigation will be more efficient, and you will need to water the garden less. Save warm-up shower water for special plants: Beyond the $1.25 for a 5-gallon bucket from Home Depot, this strategy does not require any additional purchases, but it will require some effort. Gathering unused shower warm-up water bucket by bucket is labor intensive, but we were able to keep our favorite weeping peach trees alive during the last drought by not allowing this daily use go to waste. Get rid of your lawn: The reduction of turf has been the primary goal for Southern California water agencies and cities. The Metropolitan Water District (MWD) just allocated $50 million dollars a year for a new program to motivate residential clients to take out their lawns and replace them with drought tolerant planting. Lawn grasses use roughly 1 million gallons per year per acre in Southern California, as opposed to 300,000 gallons per year per acre for drought tolerant planting. Get a professional to help you program and operate your irrigation controller: The EPA estimates 50% of all water wasted in the United States is due to improperly adjusted irrigation systems. “Smart” irrigation controllers are complex and require plant and soil knowledge to setup; the average landscape maintenance person may not have those skills. Hiring a reputable maintenance company to do the initial setup of a controller, explain its features and review maintenance will improve water efficiency in the long run. This item will require the most knowledge, effort, and money to implement, but will save the most amount of water. On a related note, AHBE Lab has aback catalog of numerous posts describing all aspects of drought worth revisiting. Happy water savings! As another winter storm system fast approaches to immerse Los Angeles in torrential rain to threaten to our state’s infrastructure and landscape to the limit (this one supposedly the biggest one yet), it’s easy to forget only a short while ago we were all praying for rain. Little did I know California has employed the aid of rainmakers utililizing alternative methods to manifest results and mitigate the drought. Can the Silver Lake Reservoir Evolve Into Something Better? At the moment the Silver Lake Reservoir is a large empty hole. Located 4 1/2 miles northwest of Downtown Los Angeles, Silver Lake was once a working reservoir of emergency drinking water for the city. The body of water was also the signature feature that helped create one of the hottest real estate markets in the country. After 9/11 – in order to protect our water infrastructure – new federal standards required all open-air reservoirs to be concrete capped or be disconnected from the water system. At the time, the decision seemed a no-brainer. But of course, the neighborhood wants to keep the lake a lake! So we’re here at an impasse, multiple parties trying to determine the future of a manmade body of water in a time of drought. The initial proposed project was fairly simple: drain the lake, bypass the drinking water system, and then refill the reservoir. Unfortunately, by the time the project was ready to go in the summer of 2015, Los Angeles and the rest of the state were in the midst of one of the worst droughts in a millennia. Filling the reservoir back up was no longer a simple decision. Is it prudent for us to fill up an urban reservoir with potable water that is not meant as a part of the city’s water supply simply for non-essential use? Even if we fill up the reservoir once, how would we maintain the level for following years? With more potable water? The Silver Lake Reservoir is too deep to be truly efficient for recreation and its concrete sides does not present a natural lake setting. There have been a few competing proposals to refill the lake; the most notable, one reimagines the 96 acres as a public park. There’s a consensus that the 400 to 800 million gallons of water required to maintain the Silver Lake Reservoir’s water levels annually would be a questionable use of drinkable water as a primary source. But I still believe Silver Lake can become a great urban park. Echo Park Lake, located nearby down on Glendale Boulevard, offers a proof-of-concept of a reservoir redesigned and repurposed as a sustainable outdoor space. Echo Park Lake was once a dilapidated urban park, but with planning and funding it was reconfigured to treat urban runoff with planted integrated wetlands before entering the manmade lake. All of the proposals for the Silver Lake Reservoir suggest some form of bio-filtration to handle urban runoff. But even so, there’s a problem…a big problem. The Silver Lake Reservoir is much larger than Echo Park Lake, and urban runoff alone would not be able to maintain the necessary volume for Silver Lake’s capacity. However, the Silver Lake Reservoir might provide an opportunity for Los Angeles to create an Eco-District for water – or in sustainability parlance, create an area of “Net-Zero Water”. An “Eco-District of Net-Zero Water” is designed to recapture and reuse any rainfall or pumped water brought into a neighborhood (or district). The organization Silver Lake Forward envisions the Silver Lake Reservoir as a public space celebrating access, native flora and fauna, and conservation. Image via Silver Lake Forward. This has been particularly difficult to do because most urban neighborhoods do not have the area required to treat water from beginning to end. Silver Lake does not have this problem. As a self-sufficient water district, the neighborhood could use many of the most current technologies to create a great urban recreation area, while underneath and around the lake, a system could be designed to treat water from urban stormwater, reclaimed waste water, recycled water from treatment plants, and any additional runoff water from surrounding residential properties. Clean water from the Silver Lake Reservoir could in turn be used to irrigate expanded recreation facilities around the lake’s perimeter, and perhaps in the future, be polished to fully potable status. In the end urban parks provide a great service to the surrounding community. Many Southern California parks use water as their centerpiece feature [see: MacArthur Park and Magic Johnson Park]. But even so, we need to remember these large artificial bodies are filled with potable water that must be maintained, serviced, and refilled. Echo Park Lake proved these bodies of water can be used to do work other than just providing a naturalistic backdrop. With a little imagination, the Silver Lake Reservoir could become more “lake” than “reservoir” for generations to come, and perhaps in time simply be known as Silver Lake. What is El Niño, and why does it happen? El Niño refers to the fluctuations in temperature between the ocean and atmosphere in the east-central Equatorial Pacific, resulting in a series of climate anomalies every few years. It is the warm part of the whole ENSO (El Niño-Southern Oscillation) cycle, with La Niña as its cold counterpart. The video above explains the process. Why should you care about El Niño? El Niño is part of the global climate system, thus influences not only regional, but also worldwide climate and weather. Due to the climate anomalies that come with its arrival, there are higher chances of extreme climate and weather occurrences, including floods, droughts, forest fires, and landslides during an El Niño season. There are also global environment and economics repercussions, alongside effects upon the marine biology of the Pacific Ocean, during El Niño. What are the climate anomalies related to El Niño? The major anomaly connected to El Niño is the higher than normal ocean surface water temperature around equatorial Pacific Ocean. This warmer water disrupts the normal pattern of tropical precipitation and atmospheric circulation. On average, El Niño lasts between 7 to 9 months (called an El Niño Condition); if and when El Niño extends it presence longer, it is called an El Niño “episode”. Weather during an El Niño is characterized by an increase in the frequency of precipitation across the east-central and eastern Pacific Ocean during winter, sometimes resulting in major flooding. Conversely, in the west-central Pacific Rim, the summer season can be abnormally drier and hotter, bringing along severe drought. This most recent El Niño has resulted in the worst drought in recent two years in Brazil, while the 2015 India heat wave has killed thousands of people because of abnormally hot and dry temperatures without relief. What are other impacts related to El Niño? Climate anomalies and temperature fluctuation can greatly affect agriculture, with food shortages and famines a strong possibility because of extreme drought conditions in the western tropical Pacific area. An upcoming consequence of this year’s El Niño will be higher food prices across the world. Another interesting economic effect of El Niño is the lower price of gas during the winter. In the East Coast of the United States, gas is primarily a heating fuel. However, El Niño brings warm air from the Pacific Ocean, which brings with it a warmer winter season, therefore reducing the demand, increasing availability of heating gas, and keeping prices low. El Niño can also affect marine species, mainly in Pacific Ocean, due to the sea water temperature change. For example, we’re seeing the appearance of venomous sea snakes washing upon Southern California shores, a species normally found in tropical parts of the Pacific and Indian Oceans. The warmer oceanic temperatures are also believed to be associated with the increasing risk of certain disease such as malaria and cholera. The chart above shows the Oceanic Nino Index (ONI) since 1950; the ONI displays deviations of the sea surface temperature from the average. The further the graph point is charted from the 0 axis, the worse the El Niño was. The previous worst El Niño on record happened in 1997-1998, resulting in more than 20,000 fatalities attributed to El Niño, and at an economic loss of $340,000,000. Violent weather, disastrous floods in southern America, severe drought in Central America, and four sequential hurricanes hitting Mexico made the 1997-1998 El Niño particularly damaging. Even though El Niños vary in duration and intensity, the meteorological phenomena exhibits some standard patterns that help scientists make educated predictions. Meteorologists predict we are going to have a strong El Niño for 2016, and possibly one even worse than the previously noted 1997-1998 season using prediction models comparing this year with that historic El Niño. 2015 has been the hottest year on record. Alhough El Niño is not the solel reason for global warming, the previous two hottest years on record – 2010 and 2005 – both featured El Niños. On the other hand, the west tropical Pacific region is gaining more moisture than usual this winter and spring. Yet, California’s predicted precipitation peak has yet to occur, meaning Angelenos should expect more wet weather to arrive in the coming weeks and months. Can El Niño save the severe drought in California? The increasing precipitation is going bring some relief to drought-dried land for sure, but it is not likely to end the drought. El Niño might bring Southern California more rainfall, but most of our state’s water supply system and reservoirs are located in the north, requiring not only rain, but a stable and sizable snow pack. However, there is now much talk about improving infrastructure to capture as much rainfall as possible for improved water resource management, so there might be a positive outcome in the longterm related to El Niño’s appearance in the wake of an epic drought. For some tips about how to collect rain water, please take a look at our previous post, 4 Ways to Collect and Store Rain. Some misconception about El Niño. El Niño causes global warming: It might contribute partially to higher global temperatures, but not entirely. El Niño is directly responsible for extreme weather events. El Niño will only increase the potential and frequency of weather events. El Niño will bring disastrous floods in California: With the increased frequency of rainfall, it is possible we will see floods in California, but not absolutely fatal ones. According to state records, some of the most devastating floods in California history happened outside of El Niño years. El Niño is only a climate concern: El Niño effects are beyond the climate. The weather abnormalities associated with El Niño can impact the global economy, may increase fetal disease, or even result in species extinction due to the long last extreme climate. Are there any benefits related to El Niño? El Niño reduces the frequency of Atlantic hurricanes. Winter is warmer in certain regions, and therefore less energy is needed for heating. There is more rainfall for the southwest region of the United States. Ski resorts on the West Coast are opening sooner than usual. There might be chance to swim or kayak on the street. How can we prepare for El Niño? First, be calm. El Niño is not going to bring the end of the world. Check out this website put together by the City of Los Angeles informing citizens how to prepare for El Niño. The most important resource on the site as far as I am concerned is to sign up for update alerts for floods, mud slides, or other emergency conditions. It might be also advisable to insure personal properties and vehicles ahead of possible damage related to El Niño. Overall, we need to be aware of the strong presence of the coming El Niño, paying attention to scientific predictions, and help each as a community to overcome any problems that El Niño brings with it. Click infographic to preview full size. I stand at our office window at the end of the day, watching autumn’s golden light descend onto the city. Even in the daytime hours, I can view from my perch the patterns of angled light and shadow against the buildings and sidewalks – nature’s quiet pronouncement of a new season at hand. However, when I step outside the unwelcome heat reminds me summer has her own calendar. The city emanates our area’s lingering heatwave. The Southland’s record breaking temperatures puts many of us into hibernation mode, as we escape to our air-conditioned offices, homes, or shopping centers in hopes the heatwave will finally end. It’s no surprise discussions about the heat leads to the hot-button topic of climate change. While a surprisingly significant portion of Americans remain unconvinced about the subject, scientists have reached a consensus about global warming. Scientists turn to historical data on climatic patterns to understand the precipitation and temperature changes we are experiencing today. 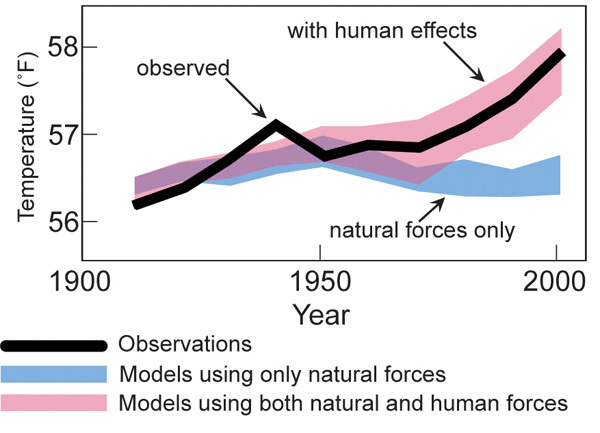 Nature, as it turns out, has been recording environmental changes for us. The tree rings of old trees provide dendroclimatologists (the climate scientists who study trees) with up to hundreds of years of data, cycles of dry and wet seasons recorded into a concentric database of wood. Dendroclimatologists study the pattern of wide and narrow rings to measure extreme weather cycles of heat and drought, including their frequency and length. This information, and layers of other historical data, are fed into forecast models for anticipating future possibilities, including drought, and water management. The debate on climate change does not end with people’s acceptance or denial. I am fascinated by the question amongst “believers” about whether human activities have contributed to this condition. Studies have examined the natural cycles of the earth’s temperature and scientists cannot explain the warming trends of the last 50 years based upon natural causes alone. We are told however that it is not too late for action on climate change. But if the debate is being shaped by culture versus science, can we close the cultural divide in time to develop solutions that will make a difference to the planet?